When adventuring in the bath tub is done or anytime your little one’s skin is a little dry, there is no kidding around with this lotion. 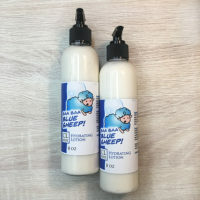 It is hand formulated to provide protection to a child’s skin. 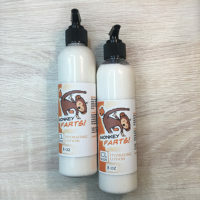 With ingredients like aloe vera, babassu oil, shea butter, palm butter, jojoba seed oil, cranberry fruit, pumpkin seed oil, sweet almond oil, and soy butter, you can’t go wrong. 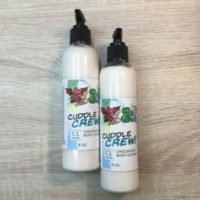 This lotion helps prevent dry, flaky skin, and helps keep your babies skin soft to the touch. 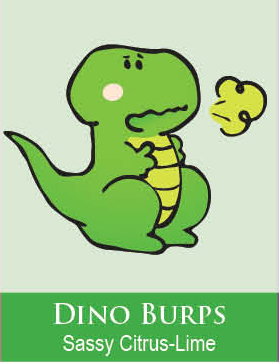 Complete your Dino Burps set with out body wash, body icing, bubble slime, and bath nuggets. Shea Butter is important for improving a number of skins conditions, including eczema, and dermatitis. This butter has natural anti-inflammatory properties which will reduce the redness and help soothe the skin. Babassu Oil is known to soothe, protect, condition and moisturize the skin. It penetrates quickly without a greasy after feel like many other oils. Jojoba Seed Oil is antibacterial to the skin and acts as an anti-inflammatory agent, cooling and soothing the skin.